A great attraction in the Metro Detroit area to visit any time of the year is the Sea Life Aquarium at Great Lakes Crossing in Auburn Hills. With only the historic Belle Isle aquarium in the Detroit area, we've always had to travel to other major cities to see a world class display of sea creatures. Well, not anymore! Since it's opening in 2015, Sea life has been an immensely popular attraction in the area and is now joined by the Legoland Discovery Center to make for a great family day at the mall. Sea Life Michigan has 25 exhibits featuring around 5000 creatures representing over 250 species. You can get a hands on experience with some of them at the touch tank. Shrimp, hermit crabs, horseshoe crabs, and even starfish are available to touch and hold while the staff give you some interesting information about each species. "Show & Tail" educational talks and feedings are also given during various times throughout the aquarium where you can learn about turtles, sharks, conservation, and more. You can find the times on their website or when purchasing tickets at the front counter. The aquarium is divided into 10 interactive zones, each focusing on a different habitat including a fresh water section where you can learn about some of the fish swimming in our Great lakes. 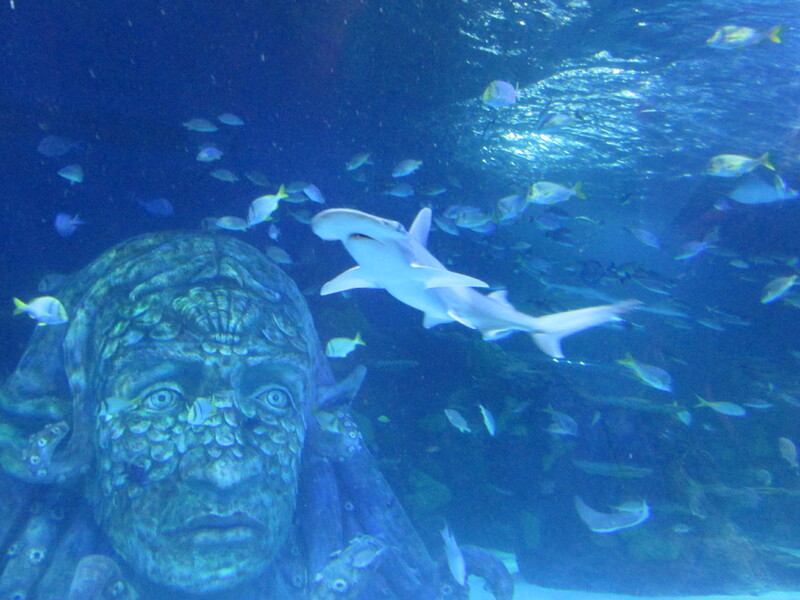 Other highlights include a stingray tank and the ocean tank which features an acrylic tunnel for amazing views of fish and sharks swimming all around. Some displays have little tunnels and bubble windows for kids to crawl around in and get up close to the fish. And, if your kids are still full of energy after the aquarium, there is a giant two story playscape for them to run around while parents relax. Not a fan of screaming kids? There's a fix for that too. Sea Life offers adult only nights every month or so where you can enjoy adult beverages and hors d'oeuvres while you take a leisurely stroll through the aquarium. 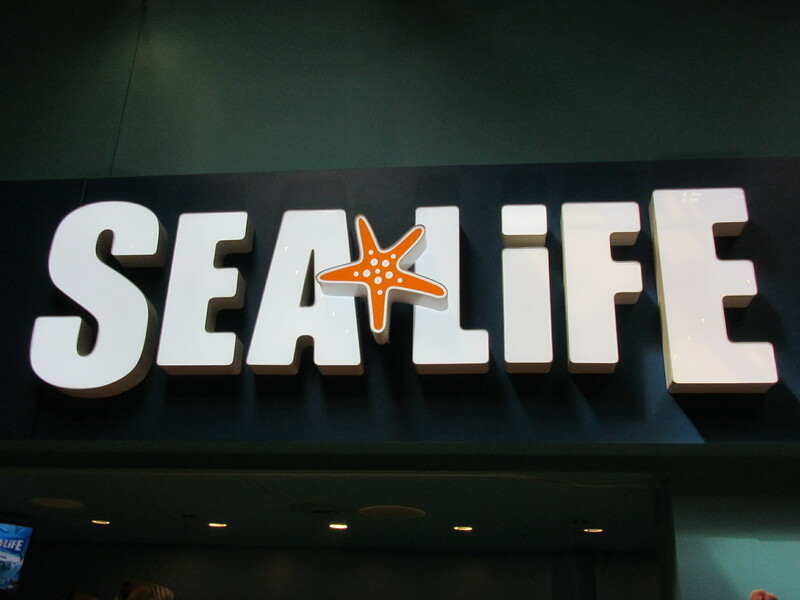 Sea Life is open seven days a week at 10:00am. Closing times vary depending on mall hours and special events. Tickets can be purchased on site, though I recommend ordering online for discounts plus package offers including a Sea Life - Legoland combo ticket. Various annual pass options are also available for frequent visitors. Visit the official Sea Life Michigan website for the latest hours and ticket discounts. Here's a video gallery I put together from one of our trips to Sea Life Michigan. Enjoy!